Stefanie, Corey, and Denise with other members of DC AmeriCorps Alums Chapter at Sunday Supper. Today’s post comes from Stefanie Vestal & Corey Jannicelli; Chapter Co-Leaders of DC AmeriCorps Alums Chapter and Denise Riebman, AmeriCorps Alums National Advisory Council. This year Americans had a unique opportunity to honor Dr. King in a very special way. Not only was this an Inauguration year, but since the 20th of January fell on a Sunday, all of the public Inauguration events were moved to Monday, January 21, 2013 which was Martin Luther King Jr. Day. Service projects and events were planned all over the country for the entire long weekend and the Nation’s Capital was placed under a microscope. DR: One word – Inspiration. While Inaugural Weekend was bitterly cold in Washington DC, supporting national service was very hot! Read more below for their recap of DC Weekend of Service. CNCS CEO Wendy Spencer energizes Alums at Cause DC. 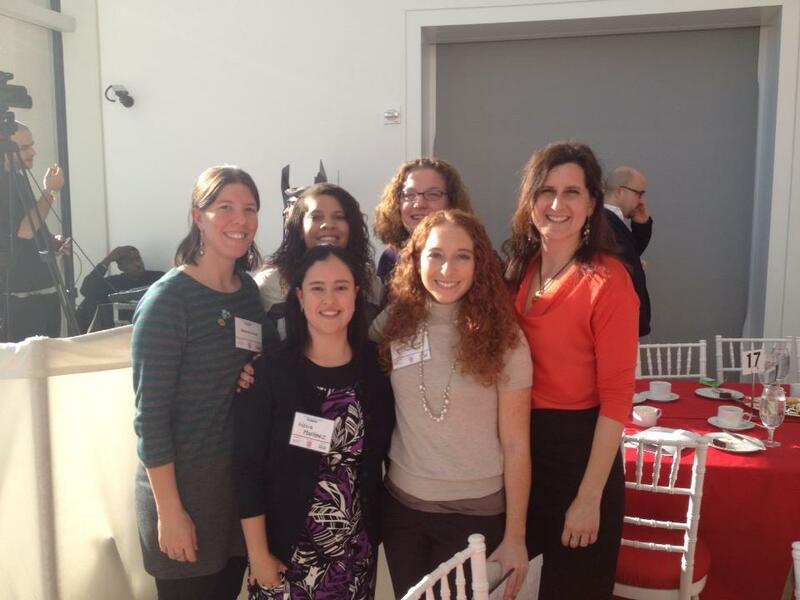 SV & CJ: The DC AmeriCorps Alums Chapter was a part of several successful events over the weekend. 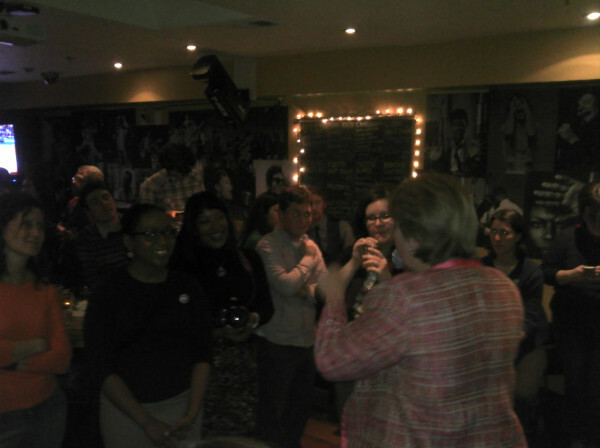 Beginning on Friday night, AmeriCorps Alums hosted a happy hour at Cause DC. Cause is a PhilanthroPub that donates parts of its profits to different non-profits each month. Over 50 alums came by the Happy Hour and we were fortunate enough to be joined by the CEO of the Corporation for National and Community Service Wendy Spencer and the Director of AmeriCorps Bill Basl. DR: On Friday, our fearless national service leaders, AmeriCorps Director Bill Basl and Corporation for National and Community Service Wendy Spencer got the crowd going at the AmeriCorps Alum Weekend of Service Kick Off Happy Hour hosted at Cause – The Philanthropub (which was also founded by an AmeriCorps and Returned Peace Corps Alum!) While eating some hot and spicy chicken wings, anyone still cold by the weather were quickly “warmed up” by the mingling in the room between members of different AC programs and generations. DC Alums serving at The Armory. SV & CJ: DC Alums recognize Martin Luther King’s call for service Saturday when we joined with Baltimore AmeriCorps Alums, NCCC members and hundreds of others to volunteer the Points of Light service project, Unite America in Service, benefiting Operation Gratitude. 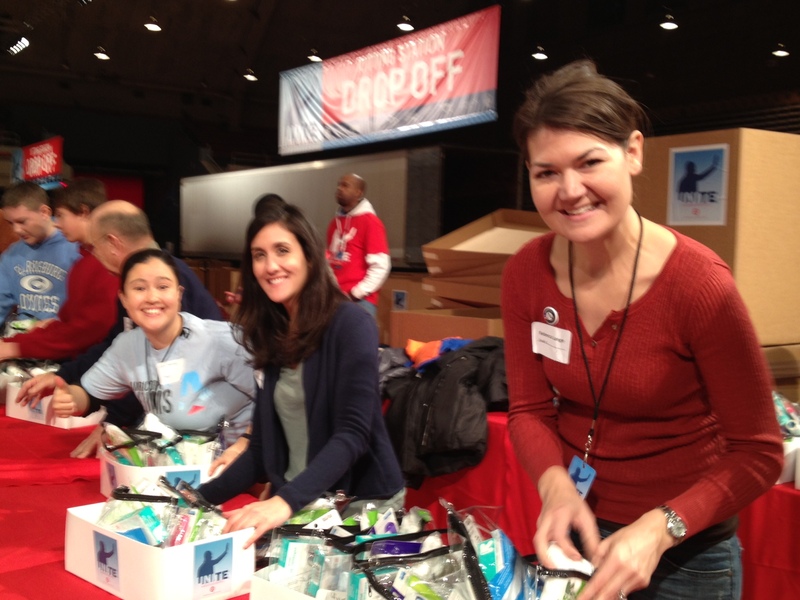 Together we helped to fill 100,000 care packages to be sent to soldiers and their families overseas. Saturday’s service event was AmeriCorps Alums DC Chapter’s largest service activity to date with over 100 members take part in the day. DR: Saturday morning, along with thousands others, I waited in the very cold long lines to get inside the Armory to volunteer at the Unite America in Service Event, in support of our veterans and current service members. Initially impatient after seeing the even longer lines inside to pack the care kits, my mood shifted quickly when I started talking to a young man from Turkey whose eyes lit up by being involved. He had never seen anything like this in his country and was impressed by Americans’ commitment to service and the diversity of those present at the Armory. My impatient and frozen self melted away as I remembered why I was there to serve. 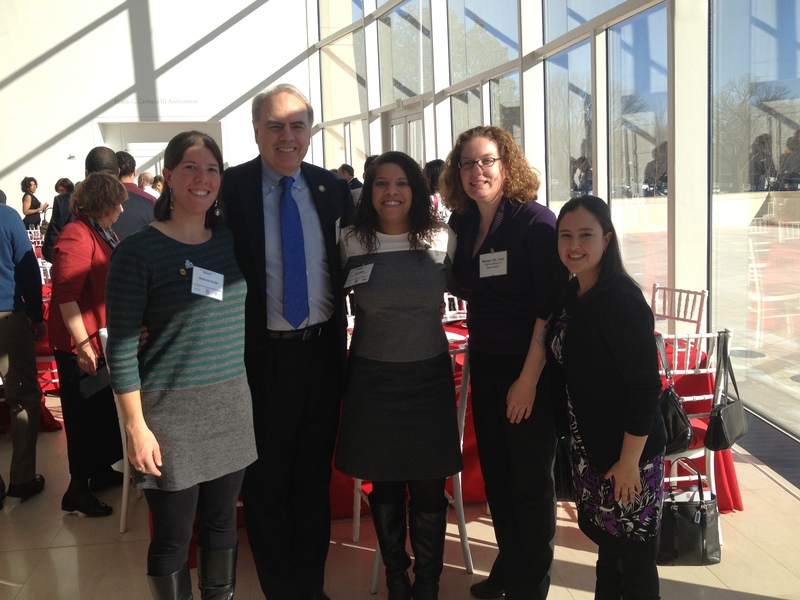 DC Alums with Director of AmeriCorps, Bill Basl, at Sunday Supper. SV & CJ: A Sunday Supper is a way to gather people around a meal with the purpose of discussing an issue and working to figure out solutions or ideas. Last year, the chapter hosted a Sunday Supper focused on the issue of hunger and this year we participated in America’s Sunday Supper hosted by Points of Light with a heavy focus on Education. Guest speakers included Colin and Alma Powell, Rahm Emanuel and DC Schools Chancellor Kaya Henderson. Six members of the AmeriCorps Alums DC Chapter board were fortunate enough to be invited to the event, which was held at the brand new Institute of Peace building in Washington, DC. DR: At America’s Sunday Supper, I was blown away by the presentation by General Colin Powell and Laysha Ward, President of Community Relations for Target and Board Chair of Corporation for National and Community Service. I know I wasn’t the only one who shed tears watching the Target video highlighting young adults who received their college acceptance letters and hearing about their shared commitment with America’s Promise for all generations. If anyone in the room had any skepticism about the different sectors interacting, that doubt would have disappeared quickly listening to the dialogues shared on Sunday. DC Alum Morgan St. Jean up early at the Morning Joe taping. SV & CJ: On Monday many of our members found themselves heading to the Capitol or National Mall to be a part of history. We have the distinct honor of living in or around our Nation’s Capital and it seems fitting for AmeriCorps Alums to want to be a witness to the events. On both Monday and Tuesday members of our chapter bravely were up in the early predawn hours and waiting in line to be on the set of Morning Joe for their special DC taping. Our chapter is thankful to all of our members who came out to any of our events throughout the weekend. In total we had over 200 alumni participating throughout the weekend and are grateful to the many members who helped to organize each activity that took place. We hope that everyone had a service filled and memorable weekend. DR: Washington DC may have been cold on the outside, but national service brought the inspirational heat to keep us warm all weekend long! 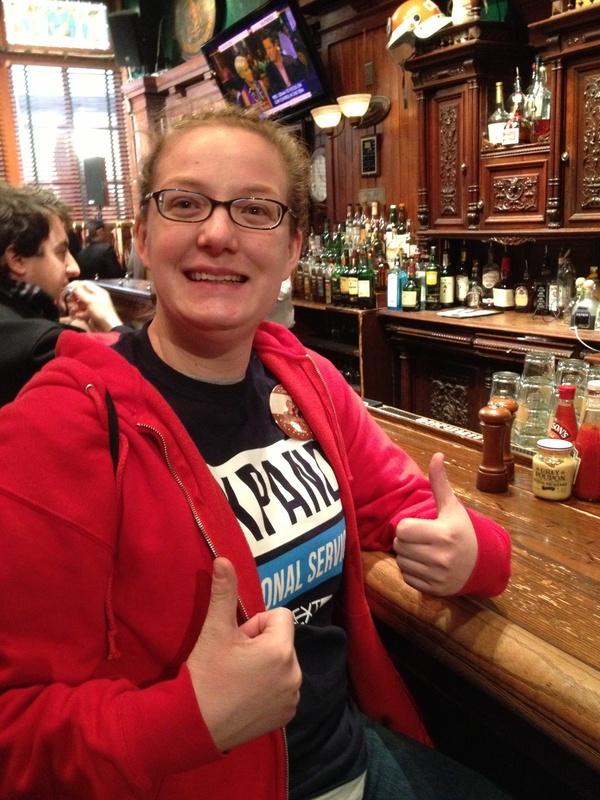 Keep up with our DC AmeriCorps Alums Chapter beyond MLK Day on Facebook and Twitter.